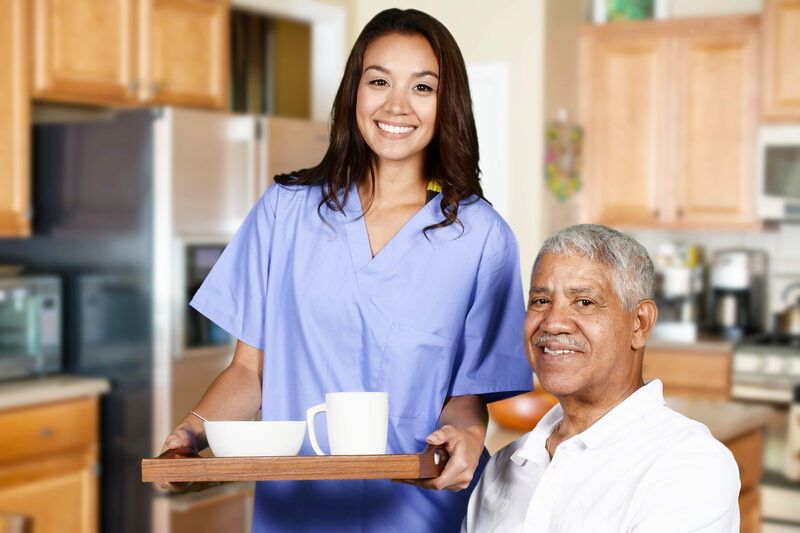 Home health aides are a valuable part of any health care team. If you have a desire to make a positive impact on the lives of the sick, disabled, and elderly, this could be a great position for you to consider. Home health aides (HHAs) assist patients with completing important personal tasks such as dressing, bathing and a variety of hygiene needs. Additional aspects of this position include assisting clients to remain safe in their own homes by providing a higher level of assistance with minor cleaning and instrumental activities of daily living such as cooking, light housekeeping, and laundry. People who work as home health aides love what they do because they get to help people on a daily basis. Most aides provide important services to families and individuals who are experiencing challenging situations because of health-related issues. Health aides receive a lot of personal satisfaction because they are providing comfort to individual clients on a regular basis. Becoming an aide can give you a unique perspective and also give you time to consider whether or not working in the healthcare field is truly something you want to do. The projected job growth over the next 10 years is over 25%, with annual job openings over 1,850. The salary for a Home Health Aide can range anywhere from 20,000 to 29,000 or more. Our program will teach you to how to be an effective Home health aide. We will teach you how to care for residents, safety, communication, infection control, bathing, feeding and more. You will receive a certification of completion from our course once you have completed all the required learning material. This class is an online only class, which you have 3 months to complete. At Heart to Heart we always take each class and each individual student very seriously. 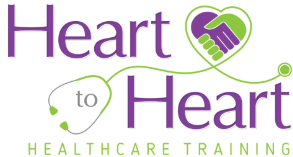 As a graduate of Heart to Heart Healthcare Training we know you will be taking care of our communities loved ones, and that is a big responsibility. We want to make sure you learn everything you need to know to safely and respectfully take care of your patients. We pride ourselves in caring for each individual patient as if it were our own loved one, and teaching students the importance of doing the same. What is the cost of the Home Health Aide Class? The total cost of the Home Health Aide class is $300. The tuition includes all needed information and supplies for the class. How do I register for the Home Health Aide class? To register for the Home Health Aide class we require the full payment of $300. At the time of registration you will be required to fill out basic information as well as make your payment. You can register by scheduling an appointment, paying your deposit over the phone, or on our website under the apply now tab. What are the requirements to be accepted into your Home Health Aide class? The only requirement we have for our Home Health Aide class is that you be at least 18 years of age. At this time we do not offer financial aid. However, you can contact your local Michigan Works. If you qualify, they may assist you with paying for our Home Health Aide class. How long is the Home Health Aide class? Our Home Health Aide class is completed online only. The student will have 3 months to complete all of the course material.